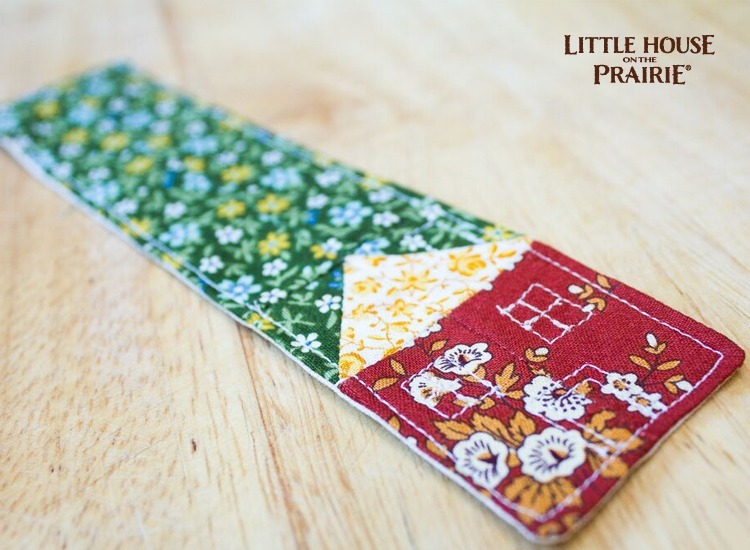 I’ve been so inspired by the new Little House on the Prairie® fabric collections by Andover that I decided to try my hand at crafting some durable fabric bookmarks. Why not give your books the attention they deserve with one of these three designs? The first bookmark design is suitable for kids to work on with some adult supervision. The other two are a little more advanced. 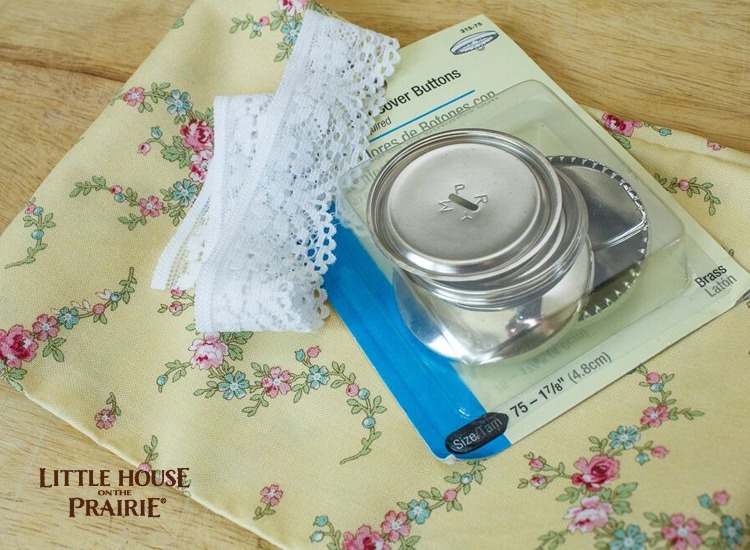 You can pick up the fabrics at a store near you (search Andover’s store locator) or order them online at Fat Quarter Shop. 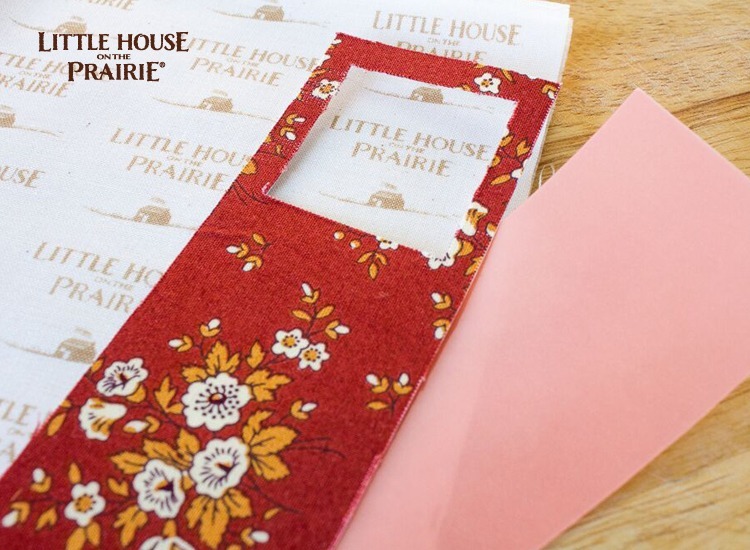 This fabric-covered bookmark has a peekaboo window that will allow you to choose a pattern or design to feature through the window. 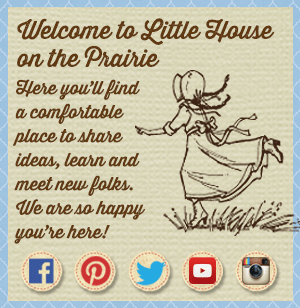 This will be perfect as we begin to enjoy the Little House books as a read aloud. 1. Cut a 2” x 8” strip of cardstock. 2. Apply double-sided tape to both sides of the bookmark (leave the protective film on). Remove film from one side and affix fabric. Trim excess. 4. 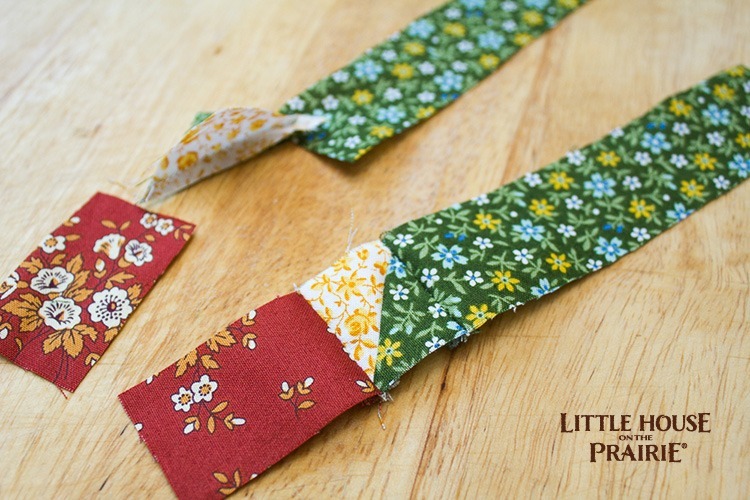 With the right side of the fabric showing through the “window,” stick your second fabric choice to the back of the bookmark and press in place. Line it up and attach it where desired. 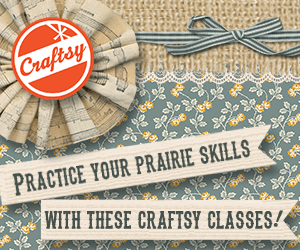 This is a great no-sew option to get kids involved in a fun craft. 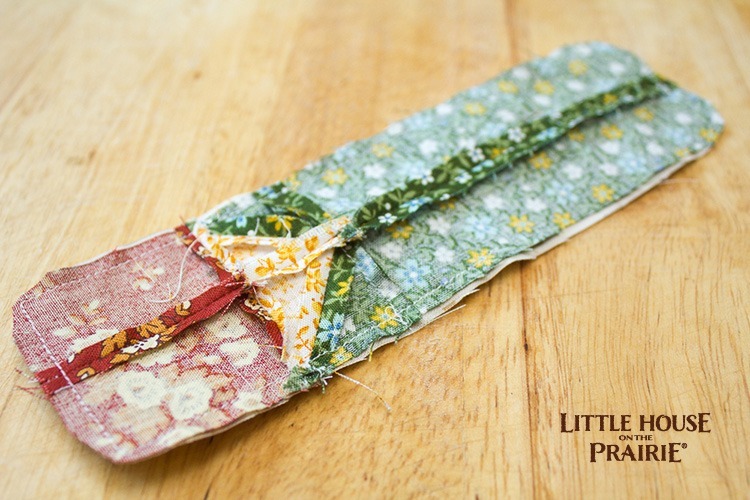 This is another no-sew bookmark idea, perfect for creating an old-fashioned bookmark with beautiful fabric and lace. 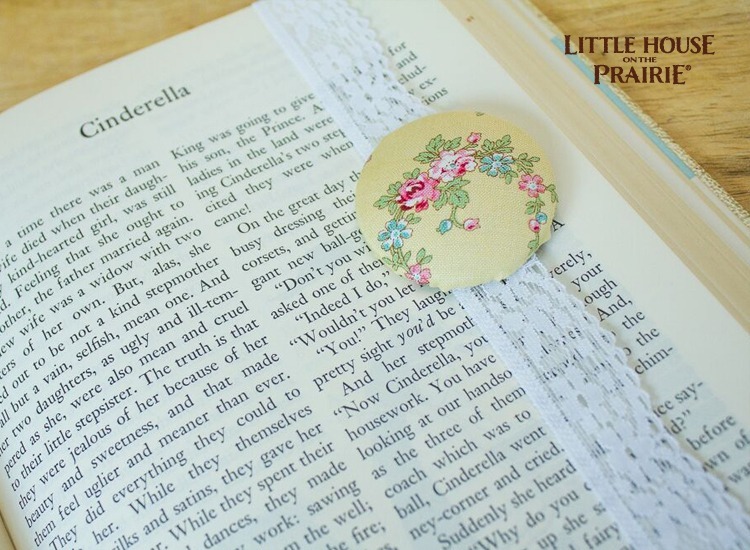 This is an unusual style of bookmark that allows you to wrap the lace through the book pages, while the button part rests on the front cover when the book is closed. Fun! 1. Follow instructions found on the cover button packaging to cut and place fabric. 2. Cut a piece of lace long enough to be stretched over book and tie a knot at the end. 3. 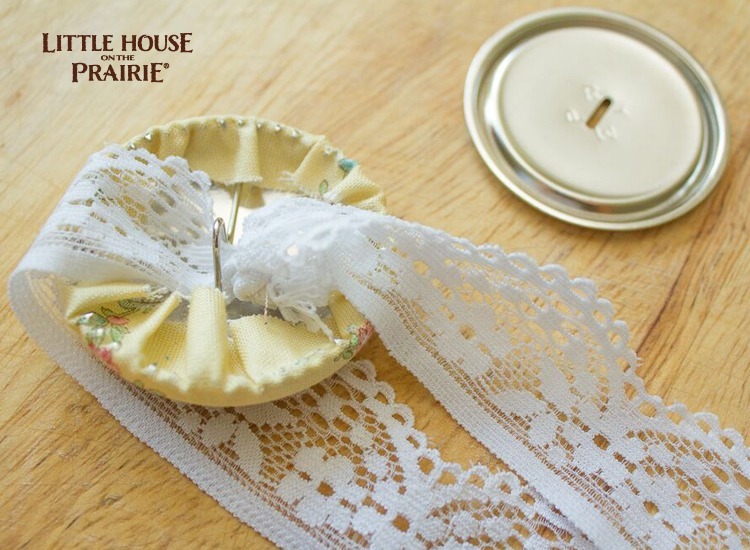 Place lace loop and knot inside of the button and press the back of the button in place as the instructions specify. 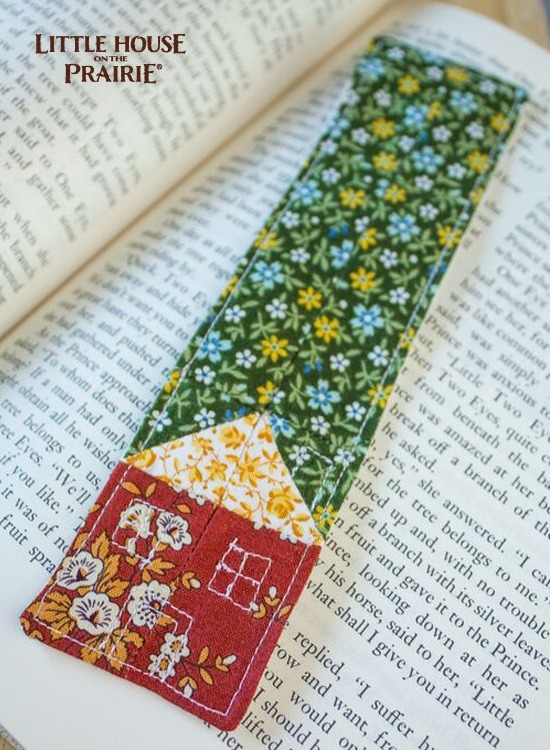 This is a more advanced fabric bookmark, but is still easy enough to make in a single day and would be a lovely gift for a Little House book lover. 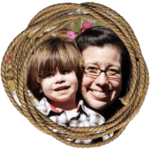 Make this as a simple Christmas gift for a stocking stuffer, or add it to a gift pack of some favorite books. 2. Use templates to cut fabric pieces and begin sewing the quilted front together. Notice in the photo below that the non-roof triangle is the same color as the background so that the house will stand out once it’s put together. Sew the two triangles together, and then attach that square to the background strip. 3. Now attach the roof to the house blocks so you have two halves of the house in strips. Attach the two house halves together, and lay them face down on top of a single-color background piece. Once complete, sew around the edges of the front and back, right sides facing. (Right sides facing means that you have the bookmark inside-out.) Make sure to leave a small opening to turn. 4. Flip right sides out and press entire bookmark with iron. 5. Sew tightly around the edge to finish. You may wish to add some decorative elements to the front of the house, but this is optional. 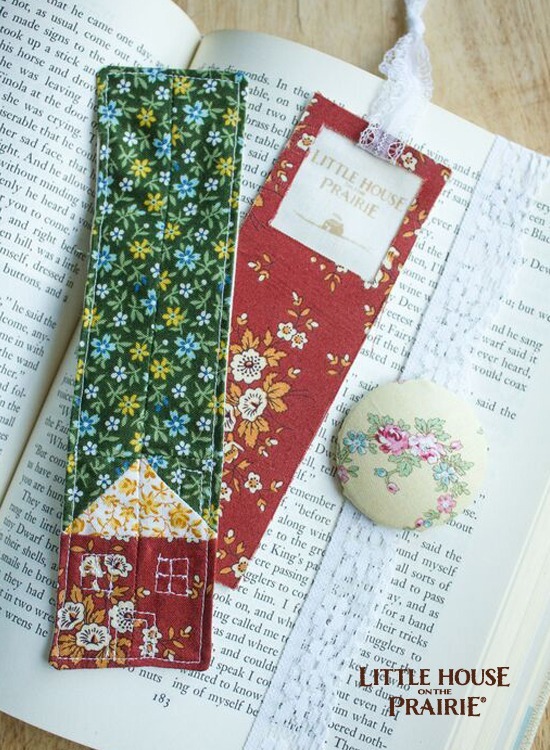 These three fun fabric bookmarks are perfect for dressing up your favorite novel or bringing to your book club! 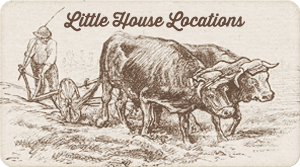 If you need inspiration for what to read, be sure to check out our Laura Ingalls Wilder recommended reading lists for adults and for children and young adults. 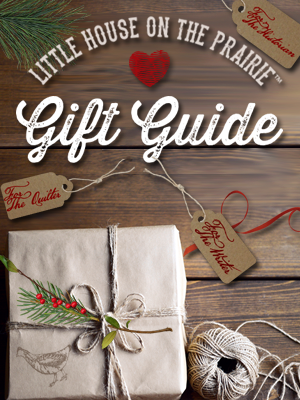 There are some fabulous books here that you just may want to add to your bookshelf or Christmas gift giving list this season. We would love to see which bookmarks you make! 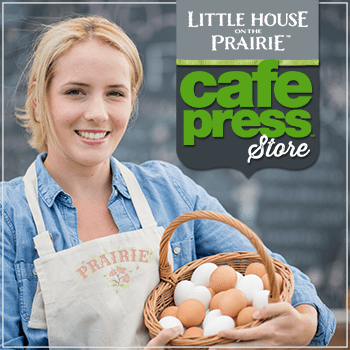 Please share them with us on our Facebook page or on Twitter/Instagram using the #LittleHouseMoment hashtag and subscribe to our newsletter for more fun DIY ideas. love the fabric and bookmarks…….but then I loved the series and I love to read….like constantly/ and quilt too ! 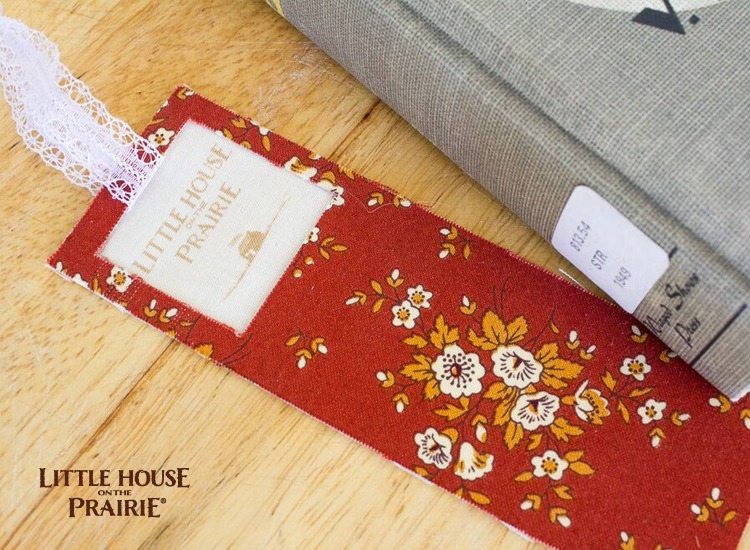 I love everything about Little House On The Prairie These book marks would make beautiful gifts. 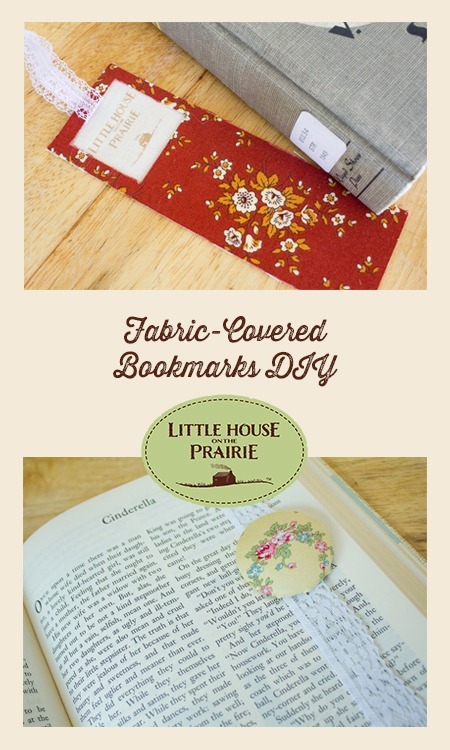 Cute bookmarks–I especially like the pieced house one. I have love Laura as long as I can remember and still enjoy re-reading her books. Loving the Little House fabric as well.